Sometimes, we are thwarted by the limits that exist in the real world around us. Rules, laws, obstacles and circumstances beyond our control make it impossible to keep moving in the direction we want. Because this card was drawn in its reversed position, though, the limits that are thwarting you now are internal. It’s a good time to get to know your limits. Why do they exist? Are they good limits, or do they block your potential? 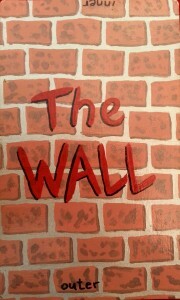 Walls can be unbuilt, if they are no longer serving a purpose or if they are actively inhibiting your full expression. You can choose your limits, and have them be permeable, if you prefer.